Nintendo has released a handy video highlighting the steps required when preparing a Switch for trade-in or sale. The comprehensive guide covers how to backup saved games, formatting a Nintendo Switch and how to transfer your account and digital downloads to a new console. Of course, the used video game market is big business but it seems that Nintendo may not be content just capturing potential new Switch owners. In recent weeks special edition consoles for Diablo III, Pokémon Let’s Go and Super Smash Bros. Ultimate have hit store shelves. By encouraging trade-ins, Nintendo opens up the possibility that some fans might double-dip and pick up a new Switch for their favourite franchise. 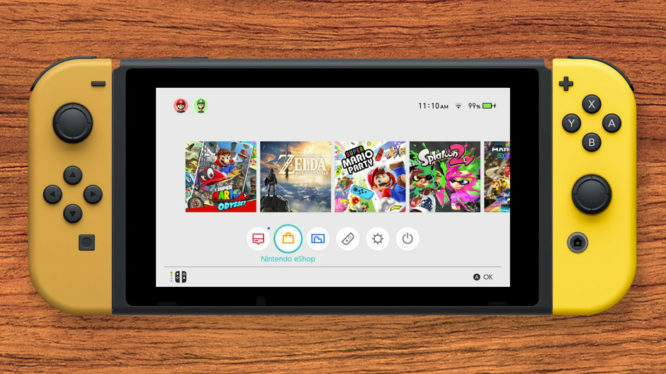 It’s also no secret that the Nintendo Switch was hacked shortly after its release in 2017. The exploit was uncovered at the silicon level in Nvidia’s Tegra X1 chip. In order to stop potential pirates, Nintendo was forced to release revised hardware earlier this year and could see trade-ins as a way to remove vulnerable consoles from consumers’ hands. If you’re considering picking up a limited edition bundle or want to know what’s involved ahead of that rumoured revised Switch in 2019, check out the video in full below.